This small (approximately 1 1/2") scorpion was found under a rock in northern Arizona near Wupatki National Monument at approximately 6000 feet in elevation. It is a rarely seen mountain species of scorpion. This scorpion was found using the A49 Scorpion Blacklight. This site copyright Rich Ayrey 2008-2017 Flagstaff, Arizona. 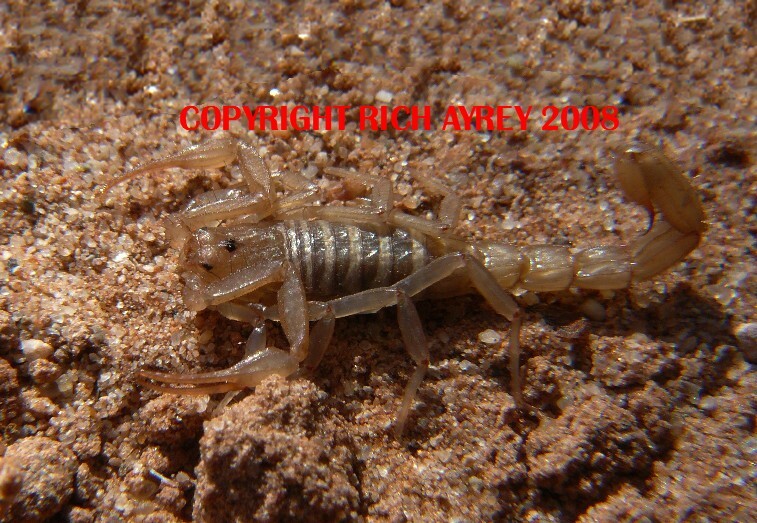 This Arizona Scorpion page created 04/04/08.